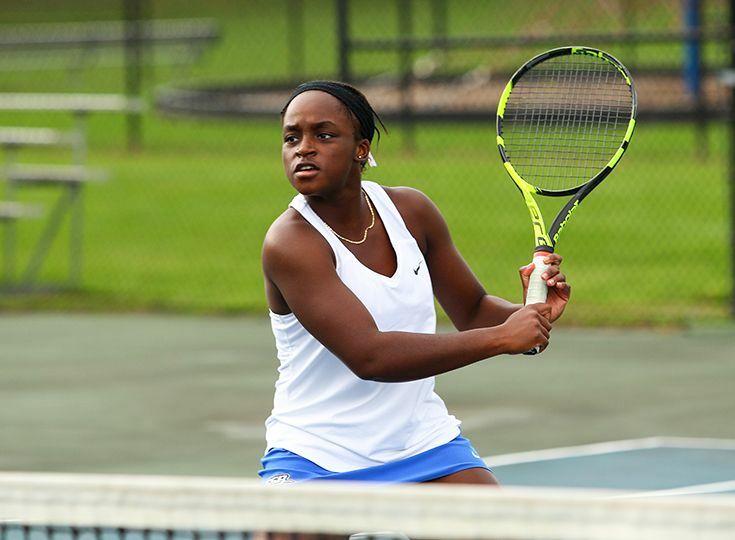 The girls’ tennis program, ranked 14th in the state, has advanced to the North Jersey, Non-Public B Finals. The Knights made it to the final round in convincing fashion, as they defeated St. Dominic 5-0 in straight sets in the quarterfinals and then topped Montclair Kimberly Academy 5-0 in the semifinal round. Taking home wins for Gill in singles play were Mayjah Jean-Pierre '21, Ella Baker '21 and Michaela Kroon '22. Winning in doubles were the teams of Andree Aloise '19 and Tori Goldin '20 and Hannah Cohen '19 and Alexis Meola '19. Gill has a tough match on the horizon as they will take on eighth-ranked Newark Academy on October 16 for the sectional title. "I was very ipressed with every match being played with a sense of urgency," said head coach Patrick Hensley. "If Gill plays NEwark Academy with the same sense of urgency then I could definitely see us advancing to the Tournament of Champions."